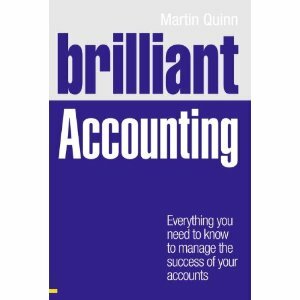 A while ago, I promised some Facebook friends to review some text books from bookboon.com, a website where you can download free accounting books. Given my teaching and research area is management accounting I choose the text on Managerial and Cost Accounting. As I am an author myself, I have had quite a bit of experience in both writing and reviewing text books. So, I will try to be critical but fair. So here goes. First, the authors seem well experienced and qualified to write the text, so that’s good. The writing style is pretty clear, although it uses US English (not an issue, just a minor comment). There are a total of 21 chapters (see below for the full contents), which covers the vast majority of the important management accounting topics. Now to be fair, I have not read all chapters word-for-word, but the text does seem to cover all topics pretty well at an introductory level. The authors use some graphics to explain stuff and give normally one example of a technique per chapter. So far so good, but now for the downsides. I suppose it must be remembered this a free text. And even though it is free, it is actually quite good in terms of basic content. But it does fall down on what I as an author/lecturer would expect of a textbook. The pitfalls are in the area of exercises within the text (I know there is a separate book of exercises, which I have not reviewed yet) and basic things from a pedagogical nature – learning objectives, key terms, real life examples and so on. The content, as I said previously, is also at an introductory level and for the more advanced or specialist management accounting courses simply would not be enough – for example, there is little is no references to academic research. The downloaded file also has adverts, which I can live with, but some might find this annoying. And finally, as I am a bit of a techie, I tried to download the book first on my Android Tablet (in July 2012). This did not work. I actually think this is a major pitfall. Why? Well, the book is absolutely fine for a non-specialist introductory course in management accounting or accounting. The audience for this book is less likely to be those in universities in developed countries (although I have nothing to verify this, but I am quite sure that it would be difficult to challenge the embedded text books), but more so developing countries. I have read in The Economist and several other sources that countries like India are considering given cheap (less than $100) tablets to students with texts pre-loaded. This text would be ideal for such students to introduce them to the basics of management accounting, with the more traditional texts helping them in more advanced areas. So my overall opinion, a reasonable book for the fact that it is free. But, I would suggest it is most suitable for introductory courses and get it working on tablets. Table of Contents of the book. 8.2 Contribution Margin: Aggregated, per Unit, or Ratio? This is great! Free textbook can be a good help to those people who can’t afford to buy it and also to those people who just love to read and learn. Its really a good blog on accounting. I appreciate your article. Its important to get quality accounting service to make good profit for company and reduce your accounting cost. This blog is really helpful to give a light in this issue. So thanks for sharing all that important information.